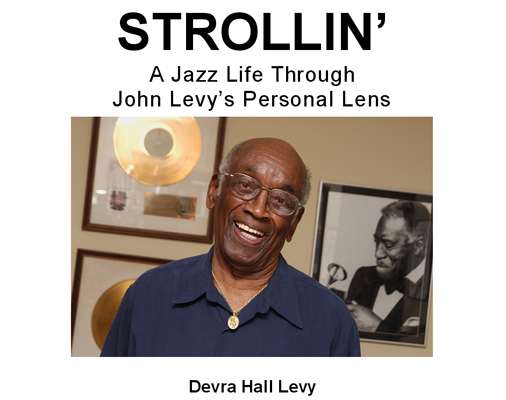 Strollin’: A Jazz Life Through John Levy’s Personal Lens by Devra Hall Levy is a 11″ x 8.5″ is a predominantly pictorial journey with a few words and lots of photographs of a life in and around jazz. The majority were taken by John, and a few by Devra, plus a special 10-page section of behind-the-sceens NEA Jazz Master event photos by Leroy Hamilton. This high-quality soft-cover coffee table book contains behind-the-scenes photos never seen before, interspersed with John’s memories and vignettes that celebrate decades of jazz history from his personal perspective.